I must confess that I had never heard of a galette des rois until Daniel Schumacher, editor of Louisiana Cooking, arrived with one at my office. When I opened that bakery box and saw the puff pastry, I knew this was going to be good. And it wasn’t just good, it was amazing. The cream cheese filing just put the crown on this cake for me. 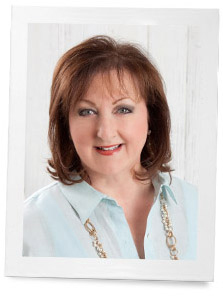 Jennifer Cole shares with us the tradition and history of this delicious pastry. I know you will enjoy reading it as I did. I just wish I lived near a bakery that offers these delicacies. 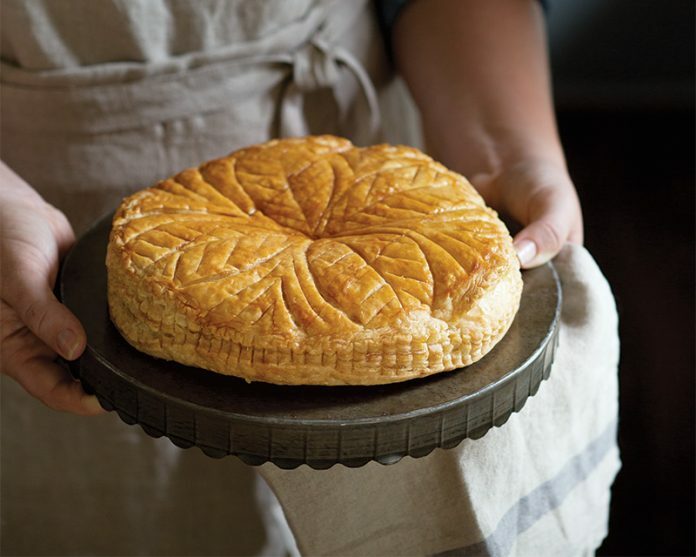 In France, friends and family break bread every January with a traditional galette des rois. The quietly unassuming cousin to the king cake, the galette des rois enters the pastry scene at the tail end of the holiday season. For centuries, this golden round of puff pastry and rich almond frangipane has marked Epiphany or Twelfth Night, a January 6 celebration of the three kings (or wise men) arriving in Bethlehem. In fact, the French government, who has never shied away from their role in defining the eating and drinking habits of the nation, traces the tradition back to early Roman times. Though it might lack the live-out-loud vivacity of its New Orleans cousin (colored sugar, thick cream cheese filling, encircled by Mardi Gras beads), this traditional galette is the center of gatherings among family and friends all throughout January, and often up until March. In its very French way, it is classic, simple, refined—consider it the little black dress of holiday desserts. During the doldrums of winter, when the post-Christmas hangover of good cheer starts to subside, people routinely issue invitations to pop around for a slice of galette des rois and a glass of cider or sweet white wine. Less involved than a dinner party, more casual than cocktails, the often-impromptu nature of this January ritual coaxes a familial vibe out of an often formal society. Though the puff pastry version with its creamy almond filling is the most common, southern France tends to celebrate with a brioche cake flavored with the essence of orange flower, shaped into a crown, and topped with red fruits and sugar. Tradition dictates that a small fève, or bean, is baked within the cake. And it is customary to cut the galette into precisely enough pieces for everyone gathered to have a slice, plus one more. That extra piece, known as the “part du pauvre,” should go to the first poor person who knocks on the door—a nod to the giving spirit of the kings. These days, the bean has mostly been replaced by a small porcelain figurine, and whoever finds it is named king (or queen) for the day—assuming they don’t end up with a different sort of crown by biting too hastily. 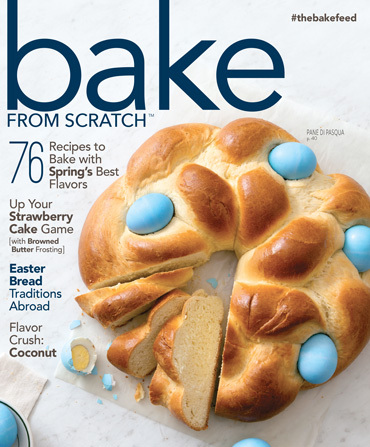 Read the full article on the Bake from Scratch website. More articles about historical recipes please! Love it. But…where is the recipe for Galette Des Rois??? Because I love to cook & bake, I very much enjoy learning about food traditions. While there are plenty of food traditions around the traditional holidays, it’s even more important to find reasons to celebrate during months when there’s really not much else going on. Thanks for this fun piece of food trivia! This looks wonderful – I went to the website. No recipe that was disappointing. Could you tell me where I might find the recipe? Galette Des Rios, oh my, I want a piece of this dessert! and sharing with hubby and friends! Totally fun to learn about this. I need to find a gluten free version and make this. It just sounds so good! Unfortunately I can’t eat wheat at all, but today’s gluten free flours are perfectly wonderful. Well I’ve just “drooled” over every word….and now I WANT a slice !!!! Actually, there are two kinds of galette des rois: the puff pastry with marzipan inside and the brioche kind with orange flower and jellied fruits. It’s usually served for Epiphany–Jan. 6. The fèves have turned into little porcelain figures, and some people collect them. Bakeries might have a theme for their fèves, enticing collectors who are into that theme (like Smurfs). Thank you for the comment! It is always fun to learn more about the delicious treats in our lives.